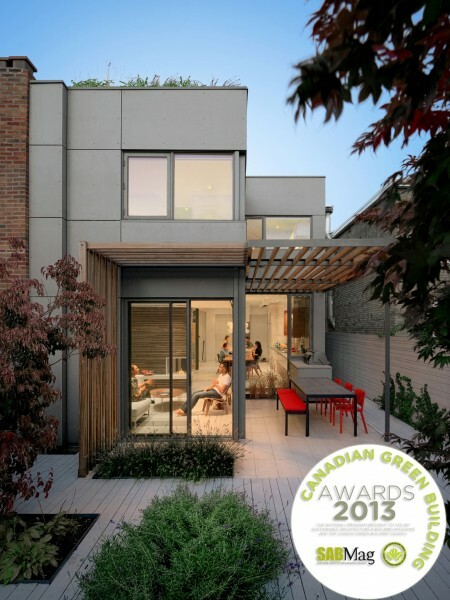 Jury Comments - The eight projects selected in the 2013 Canadian Green Building Awards are among the most exemplary sustainably-designed buildings in Canada. Through House is a simple and elegant renovation that combines beautiful design with impressive energy performance. The straightforward approaches taken to daylight and natural ventilation are indicative of how the many green strategies are deftly interwoven into the architecture. Located in a neighbourhood of modest, late 19th century worker housing, this project demonstrates the potential for this typology to provide a sustainable, ground oriented and cost effective alternative to the high-rise condominium.